Timber dealer. 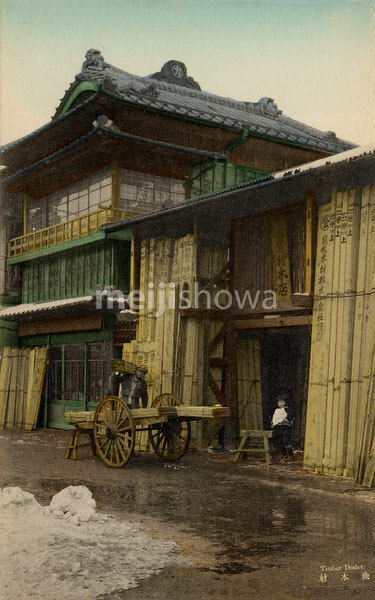 A man is loading a cart with timber while a young girl looks on. This postcard is from a wonderful series called “Pictures of Various Occupations of Japan,” published in the 1930s. The series offers a great record of small business in Japan during the early Showa Period (1925-1989).